Mech Cadet Yu #12 Publisher: BOOM! Studios Writer: Greg Pak Artist: Takeshi Miyazawa Cover Artist: Takeshi Miyazawa Colorist: Raúl Angulo Letterer: Simon Bowland Price: $3.99 Synopsis: Stanford and the other cadets will rely on all their training to try and save the world in the final issue of the critically acclaimed, fan-favorite series. 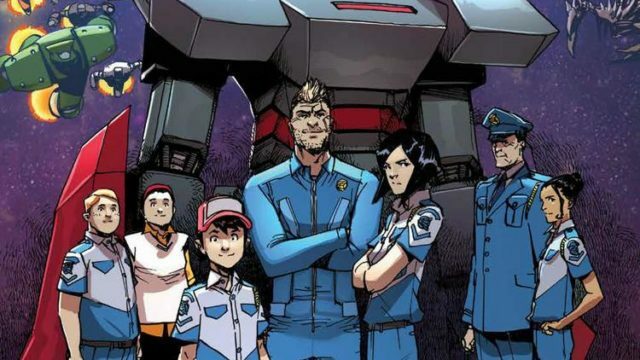 Mech Cadet Yu #11 Publisher: BOOM! Studios Writer: Greg Pak Artist: Takeshi Miyazawa Cover Artist: Takeshi Miyazawa Colorist: Jessica Kholinne Letterer: Simon Bowland Price: $3.99 Synopsis: The penultimate issue of the smash series, as Stanford, Park and Skip must save the world…but first they have to save each other.